If you’re excited about AMD’s incoming Ryzen 2nd Generation processors, then you will doubtless be interested to hear that a leak has spilled online showing the purported specs of the Ryzen 7 2700X. 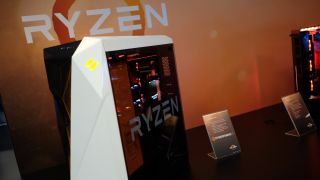 This high-end model is an 8-core CPU (with 16-threads), and according to the leak which comes from the 3DMark (benchmarking) database, the Ryzen 7 2700X will have a base clock of 3.7GHz with boost to 4.1GHz. As Wccftech.com reports, though, it could boost up to 4.2GHz with XFR 2.0 (XFR tech further boosts the turbo of the CPU a little more, as long as the cooling solution employed can handle that extra pep). So how does that compare to the current Ryzen 7 1700X? That chip has a base clock of 3.4GHz – so the 2700X is 300MHz faster – and it boosts to 3.8GHz. The leak also shows that the 2700X runs with 16MB of L3 cache and 4MB of L2 cache, and a TDP of 95W. Bear in mind that clock speed increases aren’t the only benefit of Ryzen 2nd Generation CPUs compared to the original range. You’ll also be getting the improvements of honed chip architecture and better cache latencies, which when combined with the improved clock speeds, should represent a nice step up in performance. Furthermore, Precision Boost 2.0 technology should help these processors to intelligently and more consistently get the most out of boost speeds (with lighter apps/games and cooler-running CPUs getting the most benefit therein). We won’t have long to wait for the proof of the pudding at any rate, as Ryzen 2nd Generation chips will be baked and set to launch come next month, and naturally we’ll be standing by to fully put them through their paces.